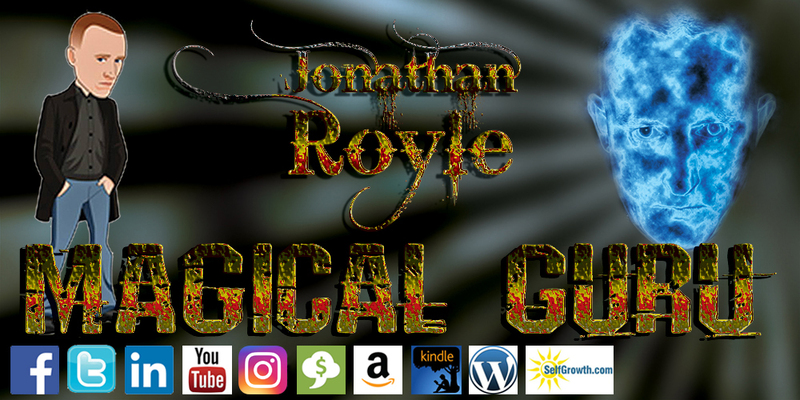 Despite the fact that International Publication “Psychic News” dubbed Royle in his former stage name of Alex-Leroy as “The New Uri Geller and Doris Stokes rolled into one!” he does not claim to have any strange powers! 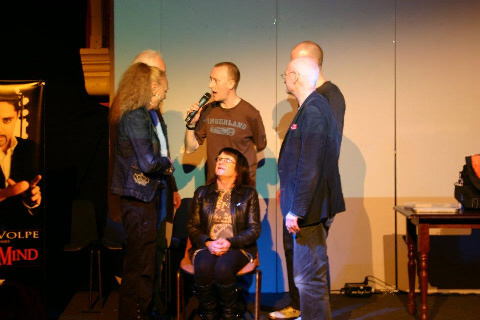 Indeed he freely admits that his work as one of Britain’s Leading Psychic Entertainers is based on his skilled use of body language, NLP language patterns, psychological manipulation and the use of his heightened senses of sight, hearing, touch, taste and smell! 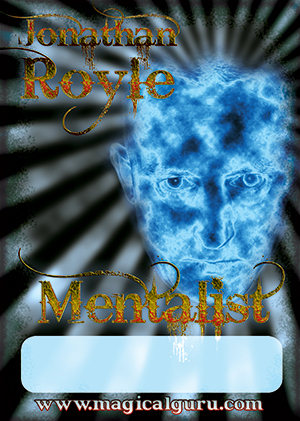 None the less people are often convinced that Royle has paranormal powers as he displays skills & talents which are bizarre, entertaining and often unique! 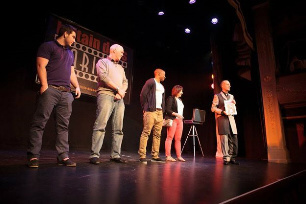 Ideal for Comedy Clubs, Variety Shows and indeed anywhere that requires light hearted tongue in cheek Comedy Mind Reading and Psychic Style Entertainment, that whilst comical and hugely entertaining on the one hand will also prove to be hugely mind blowing and memorable on the other. 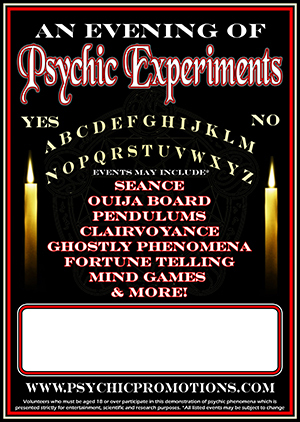 For suitable venues this can include a Ghost Walk and Investigation, but always will include a varied selection of Ouija Communication, Table Tipping, Pendulums, Astral Projection, Past Lives, The Kiss of The Clairvoyant, Dark Seance, Spirit Communication and other Paranormal and Supernatural Style Experiments involving the whole group. 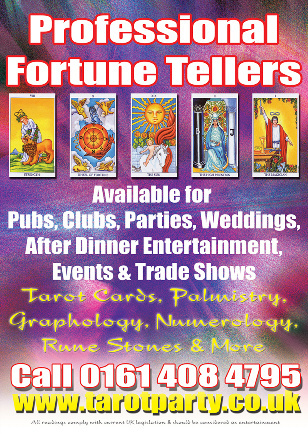 Our Sister Company “Tarot Party” are able to supply a range of experienced Professional Tarot Readers, Palmists and Clairvoyants both for private parties and also Trade Shows, Corporate and Promotional Events. They can be contacted via http://www.tarotparty.co.uk and should you wish to engage Royle’s Services as a Psychic Reader be sure to mention him by name when making your enquiry. 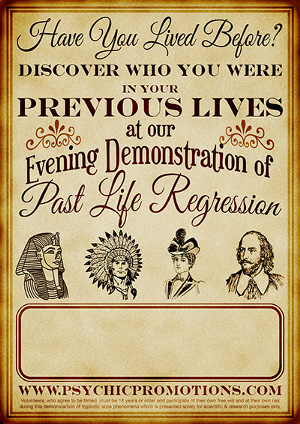 This unique interactive show allows willing audience members to take to the stage, be hypnotised and then discover what and whom they were in their previous lifetimes. This provides both an entertaining and also highly enthralling and thought provoking performance. The question is Have You Lived Before? 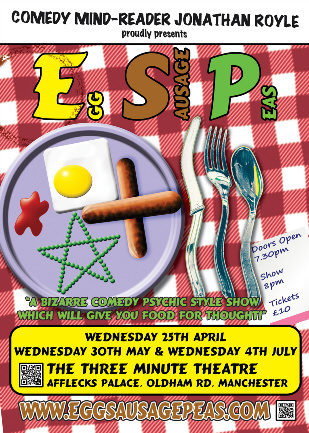 From a 5 minute television appearance or a 12 minute variety act on the one hand to a 45 minute Corporate Cabaret or Two Hour theatre show on the other “Theatre of the Mind” is a show without equal! Audience participation is the main feature of this amazing show as Royle reads minds, predicts future events before they happen, enables people to have ghostly encounters, makes metal objects melt at his fingertips and generally takes everyone on a roller coaster white knuckle journey to the centre of their own minds and back again! 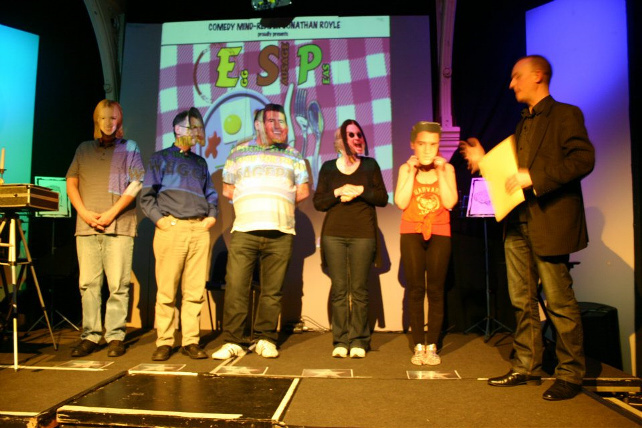 Many of the experiments in this mind-blowing show can be themed to suit your particular company event. If you’ve seen the likes of Derren Brown or Max Maven on TV and thought they were good, then you’ll think that Royle’s “Theatre of the Mind” is excellent! This is the show that convinced the British Spiritualist Community and Psychic News that Jonathan Royle was a genuine Psychic, Clairvoyant and Physical Medium during 1990 & 1991 in his former stage name of Alex-Leroy. Watch in amazement as Royle apparently makes contact with the Spirit world and gives messages to audience members from their loved ones who have passed over! 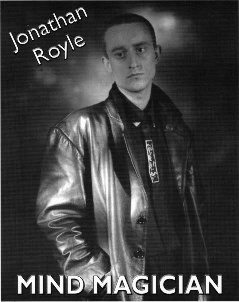 Discover why Royle was dubbed by many as Britain’s Fastest and Most Accurate Medium as he delivers one correct “spirit” message after the other in rapid fire to numerous audience members! During the show Royle also proves his powers of Physical mediumship with displays of metal bending which make Uri Geller look daft and even performs “Healing” on people with instant provable success. Strangest of all Royle does not claim to be genuine and freely admits that anybody who knew his techniques would be capable of doing the same. 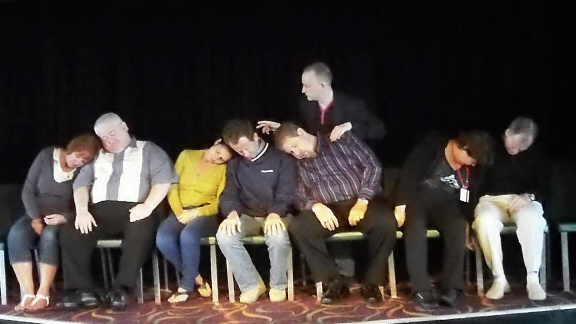 This show seems like a real Psychic at work and yet the audience is told to make up their own minds as to how what they have just witnessed was achieved, was it clever trickery or psychic intuition? 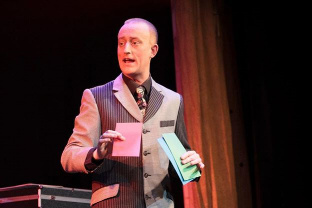 Royle is available fully self-contained for shows anywhere in the World with any of his Live Psychic Shows which can run from 45 minutes in Cabaret up to over Two Hours for Theatre venues. All-inclusive Fees start at just £1250 (within Northwest England only) and rise depending on venue, audience size, location and dates required! 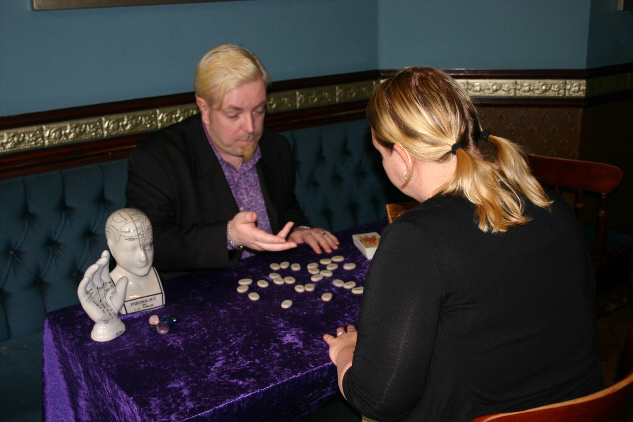 For an accurate all inclusive quote, please send details of your desired date, nature of event, audience size, intended venue and geographic location to psychic@magicalguru.com and we’ll send you an individual quotation.